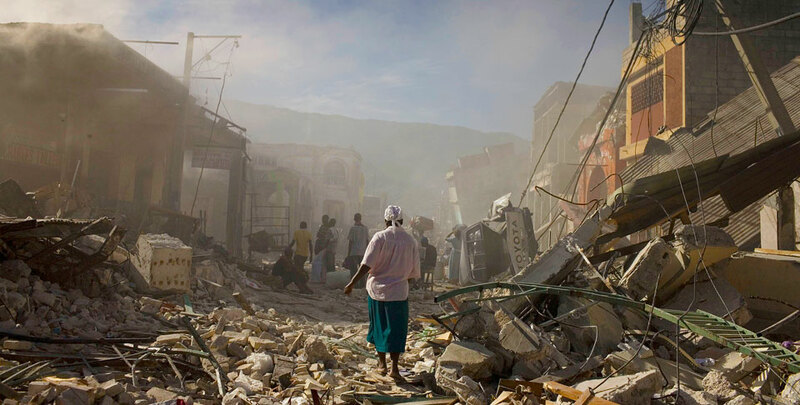 When the 2010 earthquake hit Port au Prince, Haiti an orphanage run by Pastor Jean Claude fell. Thankfully none of the children were injured. Pastor knew he needed to rebuild a home for the children and thought of the land he owned in the tiny mountain community of Fond Blanc. Not only would these children have a new home, but the Fond Blanc orphanage would also serve the children of a brand new community. In 2010, the road that led to Fond Blanc was not complete but that did not stop Pastors congregation from getting to work. They carried cinderblock one by one up the hill to begin construction. Soon after, Paul Young of Sure Foundations partnered with Pastor Jean Claude and helped him continue to build the orphanage. Today school is in session every weekday at the orphanage. Three times a week the gates are opened for church. Sunday nights the young adults from the community gather for a bible study. 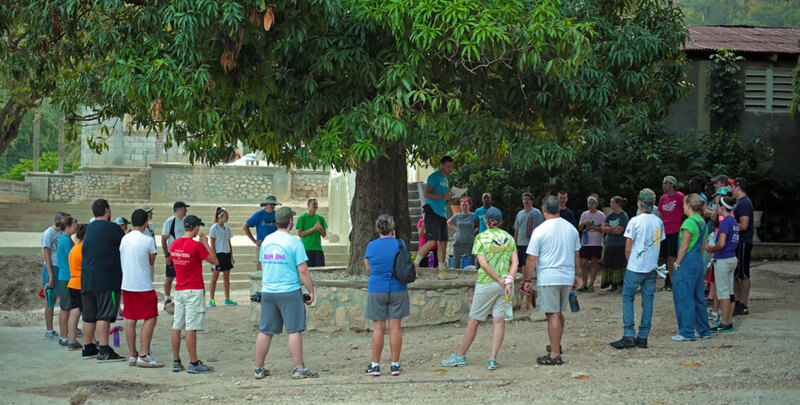 And several times a week the Fond Blanc Church band is practicing under the mango tree. The orphanage in Fond Blanc is more than just a home to the 54 children that live there. It is a gathering place for the community, and a light and hope for the future. During the summer of 2013 Next Step Ministries ran it’s first summer of mission trips in Fond Blanc. For nine weeks students from across the U.S. gathered to partner with Pastor Jean Claude and his congregation on the construction of a new church building. 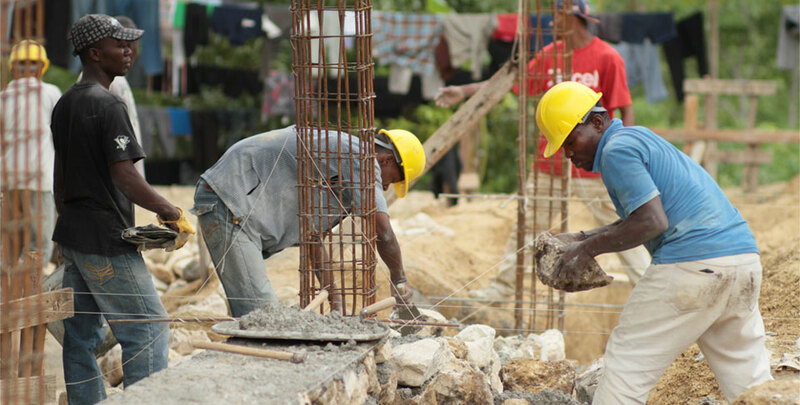 As we worked in the hot sun, we noticed that the need for a church building was just the beginning. The children living at the orphanage lacked proper nutrition in their meals, educational opportunities, and basic love and care. That’s when Alison Praisewater and Andrew Atwell got involved, deciding quite quickly that the needs of the children couldn’t be ignored. Out of this passion to enrich the lives of the children, the Fond Blanc Foundation was born. As we continue to partner with Pastor Jean Claude, Next Step Ministries and Sure Foundations, we are eager to see the power that our partnership with our Haitian friends can have. The need to care for the 54 children at the orphanage was too great to be ignored and couldn’t be done from the states. 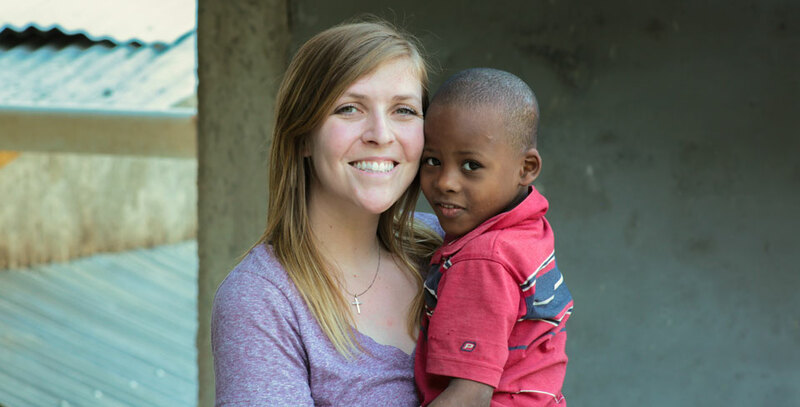 In June of 2014 Alison moved down to Haiti taking on the role of mom. The goal was to be present in their lives year round to provide consistent care and love to each child. Our goals are simple, to create an environment rooted and established in love. 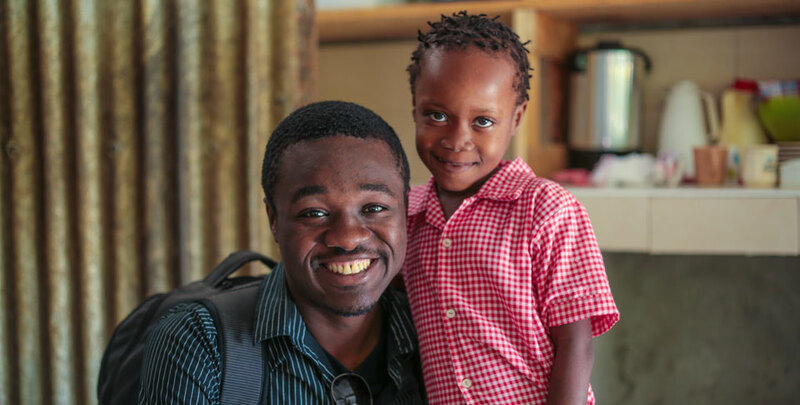 We want to see these children grow and flourish into thriving adults. We will do this through providing loving, nurturing care, health and nutrition, a solid education, and supporting their spiritual development. But it doesn’t stop there. There is a vibrant community outside the gates of the orphanage. A community that is very much in need of these resources too. Our goal is to expand our efforts to serve the whole village of Fond Blanc and surrounding areas. This will take time, but we are confident that it can be done. Visit our OUR MISSION to learn how we are putting our passion into action.